Council Tax administration from the valuation process through to billing and recovery but at a level which is easy to understand. The course is designed for new entrants with no or limited knowledge of council tax administration or would equally be suitable for customer service staff working within or requiring knowledge of the subject. Janet Alexander IRRV (Hons) worked in local taxation for 15 years before joining the IRRV's Policy and Research Department in 2000. During her time at the Institute she has sat on numerous working groups and committees for the Department for Communities and Local Government, Department for Work and Pensions, Valuation Office Agency, and Ministry of Justice. Jan worked with the Office of the Deputy Prime Minister and the Association of Town Centre Managers for over two years on Business Improvement Districts and has spoken at numerous seminars for the Pilot Authority steering groups and conferences. During 2009, Jan worked closely with the Department for Communities and Local Government on the changes for Business Rates and has also been heavily involved with the Ministry of Justice on the implementation of the Tribunals, Courts and Enforcement Act. She is also an Institute lecturer/trainer, and well-known public speaker and consultant on local taxation. The course starts at 9.30am and finishes at 4.30pm unless otherwise stated. Lunch and refreshments are provided during the day. For details on how to become a member click here. To subscribe to the Forum Service, please click here. To subscribe to the Benefits Advisory Service, please click here. 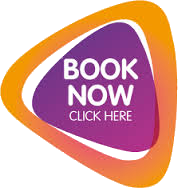 Special Offer: 3 for 2 on all bookings for members (the lowest fee will not be charged). *This discount will only be made available to delegates attending from the same organisation. Bookings must be made at the same time. At least one of the delegates must be a member of the institute in order to receive this discount or alternatively if the organisation subscribes to the Forum or Benefits Advisory Service then they will also be able to receive the discount). Any enquiries on Delegate Fees should be addressed to conference@irrv.org.uk.